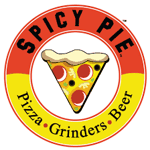 Whenever you order Spicy Pie, let the cashier know you would like to support the West Fargo Hockey Association and Spicy Pie will contribute 20% of your bill to the organization! Ordering online? Add a comment that you'd like 20% of your bill to support West Fargo Hockey. You can check out the attached flyer for locations and additional information.